I have been meaning to read this for ages, and I was pretty sure that I would like it because it has lots of things in it that I love/am really interesting in, with the first one being lots of German! I studied German for 7 years at school and still like trying to read/watch things in German (just don't ask me to speak! ), so I liked the odd sentences and things that were in German. Yay! Secondly, I like things to do with world war II, and apart from lots of things focusing on the holocaust, I haven't really ever read anything that explores what it was like in Germany for normal German people. I think it's very easy for people to say that they would have actually stood up for what they thought was right, but if you had been sort of brainwashed into believing certain things, and if you knew that acting on what you thought was morally right would probably end with you suffering the same fate as those you were trying to fight for, I think that most people would end up not speaking up about anything. So I really liked seeing how much each character in the book stood up for what they thought was right. I know that some people have accused the book of being emotionally manipulative, but honestly I didn't really feel like I was being manipulated into reacting in a certain way, I think I reacted the way I did because of what actually happened rather than how it was written, so I would have reacted the same way even if the writing had been completely manipulation free (um, unless it was written like the first twilight book*, in which case I would have ended up crying for different reasons). I think I'm contradicting myself, but I know what I mean! I did end up sobbing, and my husband who was sitting next to me on the sofa at the time got really confused, haha. I did have slight issues with the fact that Liesel's adopted father, Hans, was a bit of a manic pixie dream dad (if that's a thing, which I don't think it is), and that didn't really come off as THAT realistic (I think he needed to be a little bit more flawed to be believable). I also had a hard time separating death as portrayed in the book from death in the discworld books, haha. Which wasn't entirely appropriate. All in all though, I really liked it. My mum bought this in a 3 for 2 or something deal while I was back in the UK, and gave it to me to read after she finished it. 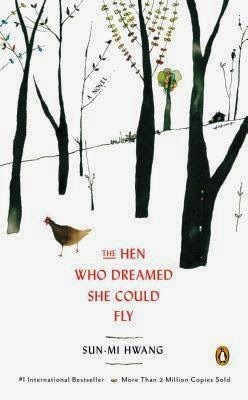 It's a fairly short, but charming story about a Sprout, a hen who really wants to be a mother, and ends up leaving her hutch and pursuing her dreams. I liked the illustrations in it, and it was nice to just curl up on the sofa at the end of a stressful day and read it. There isn't really that much to the book, and to be honest I think that it was a little bit overpriced for what it was and that if I had bought it myself I might have been a little bit annoyed (if it was put together with another story of similar length, or was being sold much cheaper, it would be just right). Although having said that, I like the cover art and the book itself is really nice! But the story has stuck with me, and I think that if I'm ever ill and need something easy to read, it might be a good one to go to! I read this as they talked about it on Literary Disco and made it sound interesting. I did enjoy reading it, and I liked the way that it explored race issues, but I didn't find the plot at the centre of the story to be THAT intriguing, and to be honest, I had to read a synopsis to remember what had actually happened before writing this. I do remember that the characters were well drawn and pretty believable, although the female characters were a little bit disappointing. I also kept on being thrown out of the story by use of dialect things which just REALLY confused me, at some point I was wondering if there were just typos in the copy that I was reading. I think this is a failing on my part, but if you are as unfamiliar with Mississippi dialect as I am then you might find yourself similarly thrown. Maybe I don't read enough of this kind of book (crime... mysteryish.. thing? Urgh, I'm bad at genres) to appreciate it? I feel like it might be a bit convention breaking, in that the characters are more interesting than the plot? I don't know. It might just have been me. I didn't hate it, but it was just okay. On the other hand, I LOVED this. I think this might be my favourite Gillian Flynn book Pretty much all of the characters in it were really messed up (as seems to be the case in all of her books), but all in a way that completely made sense once you knew more about them, and the tone was deliciously dark. I think it was a really good look into what really insular communities are like when you return to them after having escaped, and disfunctional families, and the investigation of the crime that the main character, Camille, had been sent to her old hometown to report on was also really interesting. There was one point where a certain detail was revealed which made me actually go "ARGH!!!" out loud... I am very grateful that I was at home at the time. 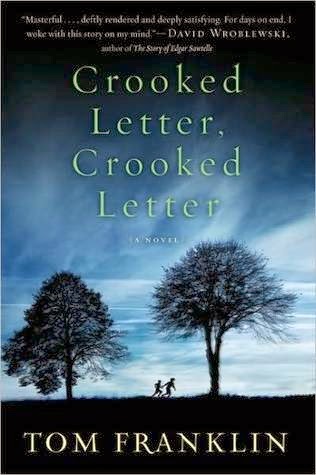 Although I do wonder how her books would hold up if you read them again, the first time through was completely addictive and I honestly had problems tearing myself away to do things like go to work and eat. I'm really really looking forward to whatever she does next! Only a few more of these posts to go! I've noticed that I'm gradually writing more and more about each book, which kind of defies the point, but it's my blog and I'll do what I like! So there, imaginary critic who probably doesn't actually exist outside of my head! * Honestly, the worst written novel that I have read, and that includes some idiotic chick-lit that came free with a magazine about some woman who falls for her decorator. Or something. I realise that the writing probably isn't the point, but I thought that I would get a stupid book that I would enjoy reading (yes, I read it thinking that I might actually like it! ), rather than something that made me want to gouge my own eyes out. And that's not even saying anything about the gender politics in the book that you do not want to get me started on. Okay, no more twilight ranting! 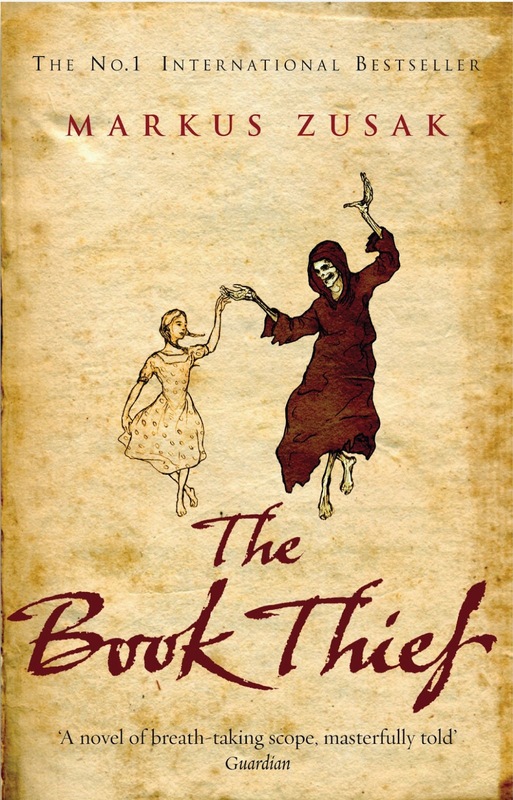 I can't even talk about how much I hate The Book Thief because it makes me SO ANGRY. Even though I did cry. They were reluctant tears and I was SO PISSED OFF AFTERWARDS. So that's that... I have that Gillian Flynn book and I'm definitely going to read it... at some point haha. 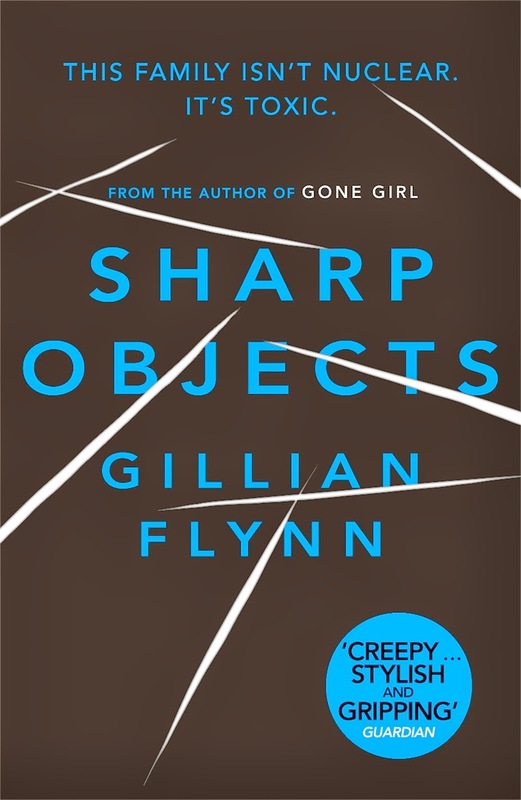 I look forward to seeing what you think when you read Sharp Objects!